No heat on one side of the building. Mold. A roof that leaks. Ceiling tiles that are falling off. Floor tiles that are disintegrating, creating an unidentified white dust that clings to shoes. Holes in the walls. Open access for rodents but not for people with handicaps. Bathrooms (the ones that work) that are disgusting. This is the depressing report from the Oak Bluffs town hall where the good people who work for the town come to their offices every day. It’s demoralizing to say the least that town employees should have to work in such an unhealthy environment, and embarrassing for residents that their town’s public face is a derelict building. Next week Oak Bluffs voters will be asked to approve an extra $1.3 million to do what residents have already said they want: a town hall they can be proud of. It will be money well spent. Formerly a school, the building was re-purposed as a “temporary” town hall nearly 20 years ago after the new school was built and the old town hall on Oak Bluffs avenue was vacated. (That building is today the police station). Discussion and planning for a new town hall began in 2005. Today no one would argue that the town hall building is on life support. In winter space heaters need to be brought in. In summer only part of the air conditioning works. The air quality is questionable. There is no need to go on. 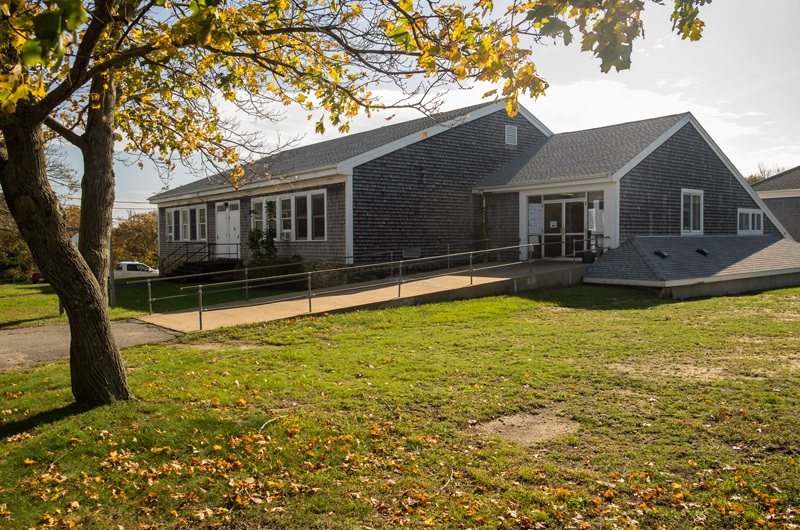 Following four years of debate, inter-departmental squabbles and up-and-down town meeting action, voters in Oak Bluffs finally agreed this past spring to spend $9.3 million to replace the decrepit town hall with a new building. Early this summer the project appeared to be on its way. Trailers were brought in to serve as temporary housing for town employees. Construction bids went out. Then there were more setbacks. After two rounds of bidding and more rounds of cost-cutting by the town hall building committee, the lowest bid still came in $1.3 million over budget. The red-hot construction boom has been cited as a likely reason. Vibrant Oak Bluffs, so rich in history that it is the subject of an exhibit in the Smithsonian’s African American Museum in Washington, D.C., deserves a new town hall. Beautiful Oak Bluffs, perched by the sea with its colorful gingerbread cottages and emerald necklace of parks, deserves a new town hall. Not just for the people who work there but for everyone. At this point, it’s a matter of town pride.